the original Wombat Park gate was around 1.5m tall, but the Farmweld version has been standardised to a height of 1.2m in keeping with modern fencing practices. This heritage gate design is typical of Victorian wrought iron farm gates (mid to late 1800’s). The simplicity of the design lends itself to both heritage and modern country style homes and properties. 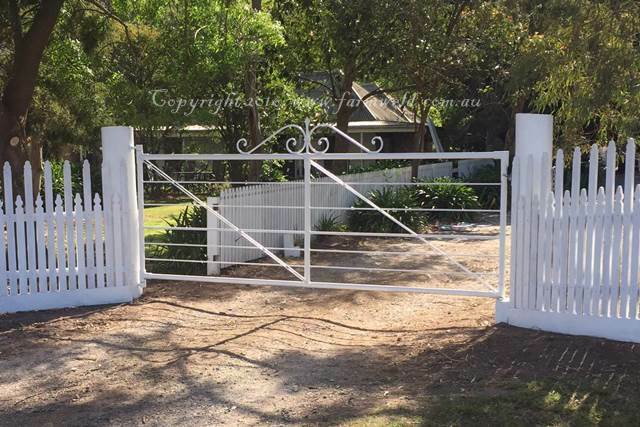 Daylesford Gate custom made to fit 3.6m gap. Yarra Glen, Victoria. For more information and pricing contact us today. Posted in: Gates, Heritage Style Country Gates, News, Wrought Iron. 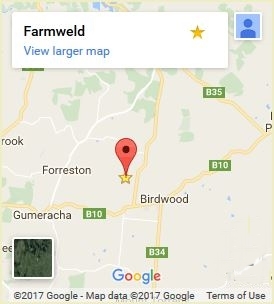 Tagged: blacksmithed, country gates, Daylesford, driveway, farm gates, gates, hand forged, heritage gates, old gates, Vic, Victoria, wrought iron.